Insert the following functions into your theme functions.php or use mini plugin like the plugin epl-filters.zip file to modify the default categories for your requirements. Download, install and activate the epl-filters plugin. Make your changes using FTP. While it may appear to be strange to use another plugin to modify Easy Property Listings this offers a website speed benefit of 100 to 1 improvement over storing these critical settings in the WordPress database. Additionally if you are creating several websites you can re-use your customised filters plugin on other sites you create or manage. All you need to do is edit the list of choices you need with the program value on the left and the human readable on the right. 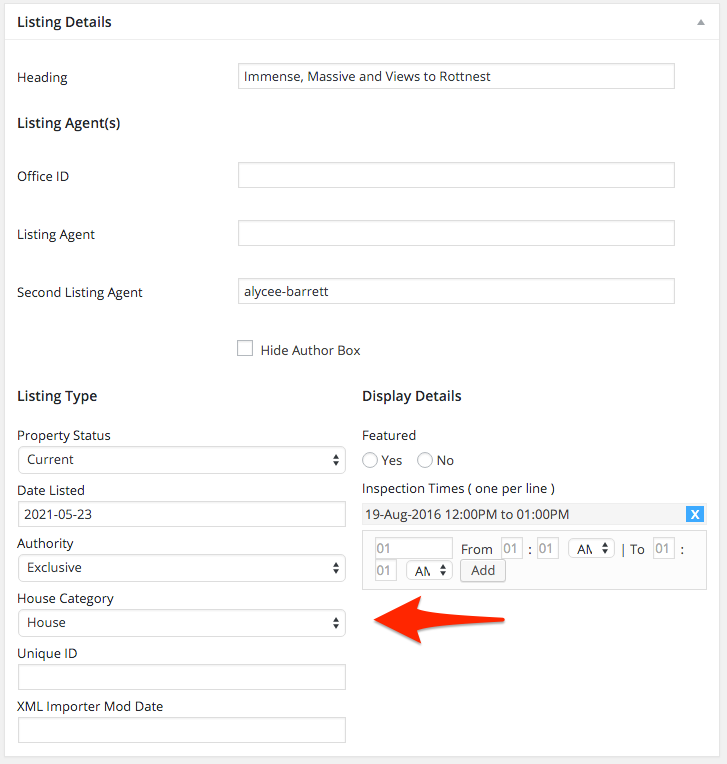 Using the epl_listing_meta_property_category filter you can control and adjust the default listing categories. Once your listings are set to a specific category they will be available to search from using the search widget or [listing_search] shortcode. Adjust the categories to suit your real estate project. How to use the [listing_category] shortcode to display all listings that are in your new Snow category. Add the following shortcode to a page to only display snow listings.